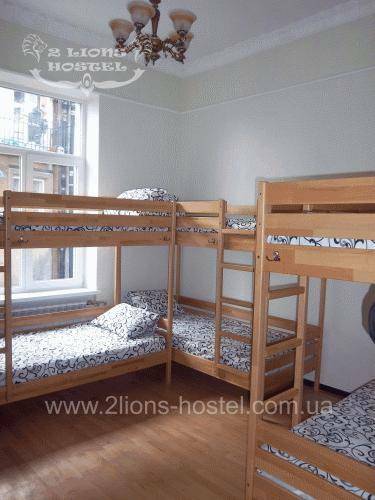 Two young ukrainian people decided to open for you a door to their world, 2 Lions Hostel Lviv. Watch sport events (soccer, boxing, hokey etc.) on the big screen of 2x3 m!!! in our common room or simply watch movies - feel like You are in cinema! And of course, there is a free Wi-Fi in our hostel! 2 Lions Hostel can place 20 persons. 24 hour a day it is a free access to the kitchen and lounge room, 2WC. It is possible to occupy 10 dorm room (bunk beds), 8 dorm room (bunk beds) and the Private Room (very big double bed). We offer the Private room. The room has a soft double bed, bedside tables, dresser with mirror. (Be sure to ask the administrator for the key to the room). 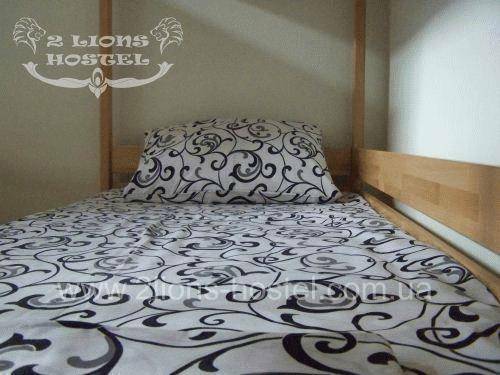 For accommodation we offer the 10-dorm room with large bunk beds, which is convenient even for adult men. For accommodation we offer the 8-dorm room with large bunk beds, which is convenient even for adult men. For your luggage it’s featured large locker-room safes (be sure to ask for the key at the reception). 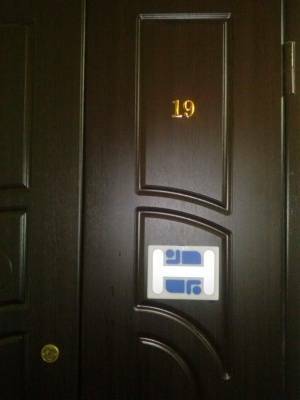 2 Lions Hostel located absolutly in the city center, is a perfect place to discover the new European city  Lviv, heart of western Ukraine, with its special culture. In few minutes there are the most interesting historical and architectural masterpieces: Opera House, Rynnok Square, House of Science and so on. This list is huge. There is a nice and beautiful park in some steps where you can have a walk and even do yoga. Take mini bus number 48 to the Rizni square. Moving by the Svobody avenue to Shevchenko monument. Then turn right hand to the Hnatiuka street and follow to Sichovykh Striltsiv street. 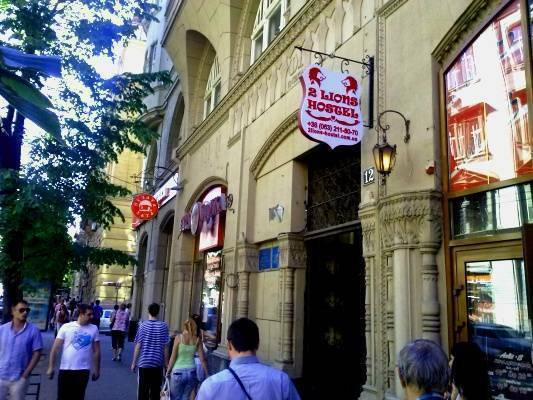 Moving by Sichovykh Striltsiv street you'll see a sign '2 Lions Hostel' before 'Puzata Hata' restaurant. Bus number 3A departs from the Striyska street. You have to get off on Svobody avenue. Then follow the instructions above. Take Tram number 1. It departs from the stop in front of Central Train Station. You have to get off on the stop Peter Doroshenko street and move back 100 m until T. Kosciuszko street. Moving down the Kosciuszko street to crossroads you'll see 'Puzata Hata'. Right hand from 'Puzata Hata' you'll see a sign '2 Lions Hostel'. Contact us, and we can organize airport transfer. It is not the best idea to take a taxi from the airport especially when you don't speak Russian or Ukrainian, they will charge you more.